Life Bite Foods IPO is on the way. The restaurant firm, Lite Bite Foods, has been planning on raising funds for its expansion plans since over an year now. Lite Bite Foods’ management mentioned in late 2016 that the company is has achieved the figures and is ready to be listed. To know more details about the Lite Bite Foods IPO like IPO date, IPO size, IPO price and company’s background and promoters, please read this article. 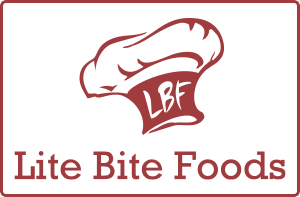 Lite Bite Foods runs over 180 restaurant stores including Punjab Grill, Zambar and Street Foods. The latest revenue figures available show a top line revenue of Rs. 300 crores and is expected to increase to Rs. 500 crores. The current revenue growth has been recorded at 30-32%. The company is being managed by Mr. Amit Burman and Mr. Rohit Aggarwal. The details related to the book-running lead managers and the registrar to the offer would be shortly disclosed here. Lite Bite Foods IPO date is yet to be disclosed. Once the details are out, the same would be reflected herein. Lite Bite Foods IPO is yet to be released and hence the details of the shares subscribed will be updated herein over some time. The details of shares allotted to the subscribers will be updated herein once the IPO is released. The price band for Lite Bite Foods IPO will be shortly updated in this section. The Lite Bite Foods IPO issue size is not yet disclosed. Once the information is available, the details would be updated herein. The number of shares offered by Lite Bite Foods IPO is not yet disclosed. The details would be updated once the information in available. Lite Bite Foods Private Limited, established in 2002, is one of India’s largest and most dynamic food & beverage retail companies with 14 owned brands and 7 managed brands under its umbrella. It has more than 138 operational stores across the globe having a strong presence in prominent Malls, Airports, High Streets, Multiplexes, Office complexes, Hotels and other high footfall locations including Highways in India and Overseas. For airports, Lite Bite operates on the franchise model, and has set up stores for KFC and Burger King, among others. Store locations – malls, airports etc. Lite Bite’s revenues grew 30-32% over last year and the business is now close to Rs. 300 crores. The details would be updated upon release by the company. The offer price is determined via book building process wherein the company and the lead managers of the IPO mutually decide the price based on market sentiments and other qualitative and quantitative factors. The details of registrar to the offer would be provided herein shortly. Lite Bite Foods IPO Grey market would open a fortnight before the release of the IPO. Also, the kostak rate for this IPO would float in market before the IPO is launched.